It’s no secret that our clients have enjoyed success over the years with European imports coming to America and winning top races on the turf. 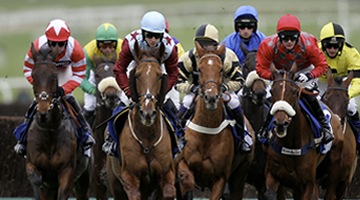 This year, BSW Bloodstock has gone back to the well, purchasing both publicly and privately, a number of Euros that bolster the roster of our clients and are ready to fire. Several new imports have already kicked off 2018 in style and are gearing up for a stakes filled year. 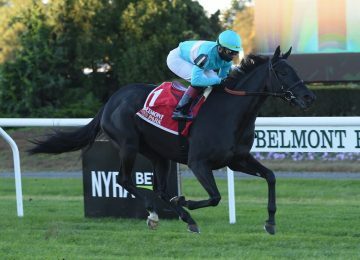 G2W/G1P– Uni (GB) won the G2 Sands Point at Belmont after running a close second in the G2 Lake Placid at Saratoga and finishing 3rd in the G1 Belmont Oaks. She is back on the work tab for trainer Chad Brown as she gears up for her 4 year old campaign. G1P– A Raving Beauty (GER) pulled the curtain on 2017 with a 2nd in a Group 1 feature in Italy and looks to make her first start in the U.S. this spring for Chad Brown. 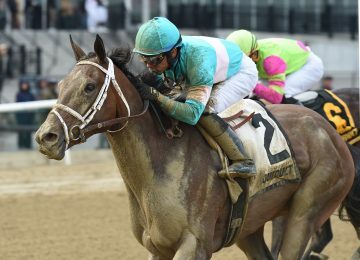 G2W– Elysea’s World (GB) finally clinched Graded Stakes victory in the G3 Suwannee River at Gulfstream early this year and will make her next start in New York. G3W– Thewayiam (FR) remains undefeated in 2018 after she strung together 3 stakes victories against Graded Stakes company during the Gulfstream Park meet. She looks to make her next start in the G3 Edgewood at Churchill on Kentucky Oaks-day. G3W– Rymska (FR) went undefeated in 2017 winning back-to-back G3s while capping off the year in the Winter Memories at Aqueduct. She was injured prior to running as the favorite in the G1 American Oaks and aims to return to form mid-2018. G3W– Santa Monica (GB) began working at Palm Meadows for Chad Brown this winter as she preps for a Spring debut. G3W- Silver Step (FR) is ready to run after a series of drills at Payson Park. We should see in the Marathon Stakes in 2018. 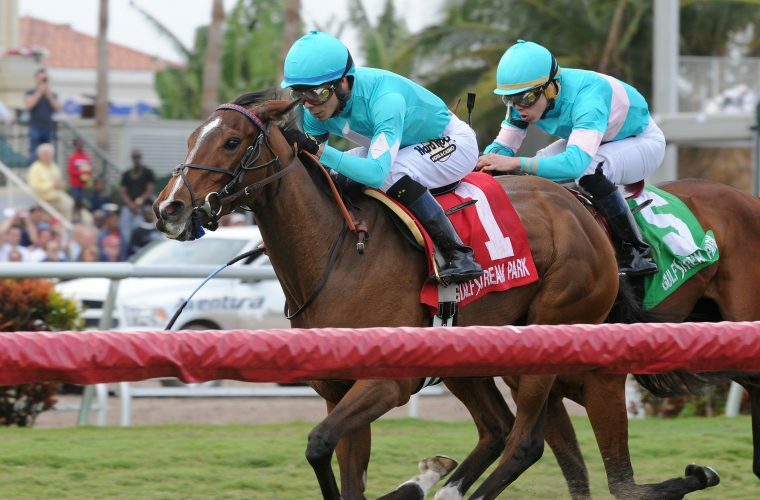 G2P/SW– Stormy Victoria (FR) laid down an impressive stretch run to take the South Beach Stakes on Pegasus World Cup day. She points for the G3 Honey Fox at Gulfstream for trainer Christophe Clement. G3P- Salsa Bella (FR) in her first start in the U.S., Salsa Bella finished a fast-closing second to Thewayiam in the G3 Sweetest Chant. This Chad Brown-trainee is on track for a start in the G2 Appalachian at Keeneland. G3P- Altea (FR) finished third by a nose in the G3 Florida Oaks in her last out and will head to Churchill Downs for the G3 Edgewood on Kentucky Oaks-day. SP– So Hi Society (IRE) had a troubled trip in her U.S. debut and looks to make her next start in an Allowance in New York while looking toward Stakes company down the line. SP– Pursuing The Dream (IRE), purchased on behalf of DP Racing and Madaket Stables, has been prepping for her 2018 debut in California with Jim Cassidy.